A three Judge Bench of the Supreme Court, comprising of Justice Dipak Misra, Justice R.K. Agrawal and Justice Prafulla C. Pant has set aside the appointment of Bhavani Singh as the Special Public Prosecutor for former Tamil Nadu Chief Minister Jayalalithaa’s appeal against her conviction. The Court held that Bhavani Singh’s appointment for trial did not make him eligible to prosecute the appeal on behalf of prosecuting agency before the High Court, since the appointment of a Public Prosecutor, as envisaged under Section 24(1) Cr.P.C in the High Court is different than the appointment of a Public Prosecutor for the District Courts. The Court however denied ordering a rehearing of the appeal before the High Court. It permitted Anbazhagan to file a written note of submissions within 90 pages before the Appellate Judge. It also permitted the State to file written note of submissions within 50 pages. The written submissions are to be filed by 28th April. The Court directed that any written note of submissions by Bhavani Singh would not be considered by the Appellate Judge. The question to be considered by the Court was whether the appointment of the Special Public Prosecutor was bad in law. In case it was bad in law, the Court was to decide whether this would necessitate the criminal appeal to be heard afresh by the High Court. Initially, after the case against Jayalalithaa was transferred to Karnataka, the State, in consultation with the Chief Justice of the Karnataka High Court appointed Mr. Mr. B.V. Acharya as the Public Prosecutor. For certain reasons, before completion of the trial, Mr. Acharya resigned and thereafter Bhavani Singh was appointed as the Special Public Prosecutor vide notification dated 2.2.2013. The appointment of Bhavani Singh as the Special Public Prosecutor was however objected to, by making representations to the Government as well as the Chief Justice of the Karnataka High Court. During the pendency of the Writ Petition, the appointment of Bhavani Singh was withdrawn on 26.8.2013 by the Government of Karnataka. The reason ascribed was that there had been no proper consultation with the Chief Justice of Karnataka High Court. Another order was passed in September, withdrawing the appointment of Bhavani Singh. This led the accused persons to file a Writ Petition before the Supreme Court, which in the case of J. Jayalalithaa and Others v. State of Karnataka and Others, annulled the impugned order removing Bhavani Singh, the same being unsustainable in law. Consequently, Bhavani Singh respondent continued during the trial and eventually the Special Court delivered the judgment on 27.9.2014 convicting all the accused persons. An Appeal was then filed by the accused before the Karnataka High Court. As the State of Karnataka was not arrayed as a party in criminal appeal, it did not appoint any Public Prosecutor. It is interesting to note that the State of Tamil Nadu exhibited enormous anxiety and on 29.9.2014, the Principal Secretary to the Government of Tamil Nadu passed an order being requested by the Directorate of Vigilance and Anti Corruption, Chennai to appoint Bhavani Singh as the Special Public Prosecutor in the case. DMK leader Anbazhagan had hence sought removal of Bhavani Singh from the case, contending that Singh was appointed only for the trial and he could not hence appear in the High Court during appeal. He asked for a fresh hearing on appeal. A two-Judge Bench had earlier displayed a varying opinion over the legality of the appeal and referred the matter to the Chief Justice of India for constituting a larger Bench. 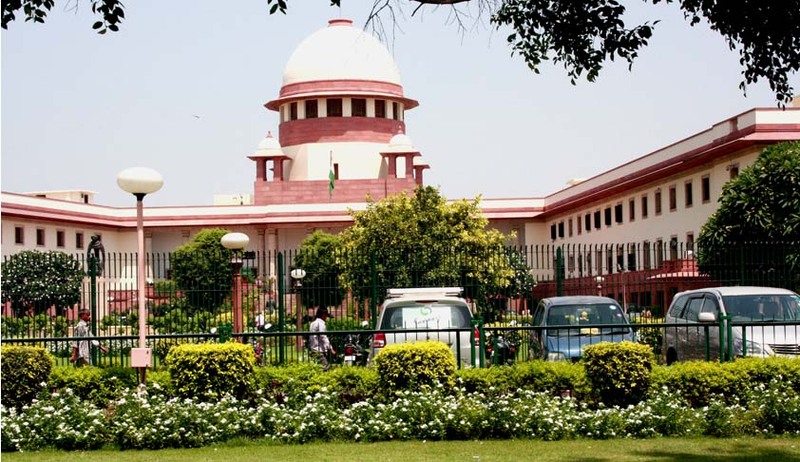 Subsequently, the CJI had set up a three-judge bench to adjudge the issue. The State had contended that once the State of Karnataka had appointed Bhavani Singh as the Special Public Prosecutor under Section 24(8) and 301(1) Cr.P.C to conduct the trial after Mr. Acharya resigned, his appointment would continue for the purpose of appeal. The Court then went on to consider whether annulment of appointment of Bhavani Singh as Public Prosecutor would entail de novo hearing of the appeal. The Court took note of the fact that the appeal has already been heard and that preparation of judgment is in process. The Bench held that there is no justification for rehearing of the appeal as the matter has been heard at length and reserved for verdict. a) The State of Tamil Nadu had no authority to appoint the 4th respondent, Bhavani Singh as the Public Prosecutor to argue the appeal. (b) It is the State of Karnataka which is the sole prosecuting agency and it was alone authorized to appoint the Public Prosecutor. (c) The appointment of 4th respondent, Bhavani Singh as the Public Prosecutor for the trial did not make him eligible to prosecute the appeal on behalf of prosecuting agency before the High Court. (d) The appointment of a Public Prosecutor, as envisaged under Section 24(1) CrPC in the High Court is different than the appointment of a Public Prosecutor for the District 4th Courts; and that the Notification appointing the respondent did not enable him to represent the State of Karnataka in appeal. (f) The appellant as well as the State of Karnataka are entitled to file their written note submissions within the framework, as has been indicated in para 36.